I am happy to present Louis. It was inspired by some ceramics from 13th century that I saw in Barcelona and a beautiful quilt from the Shelburne Museum. And I found out I love making clamshells ….. I can feel another quilt with some of those. 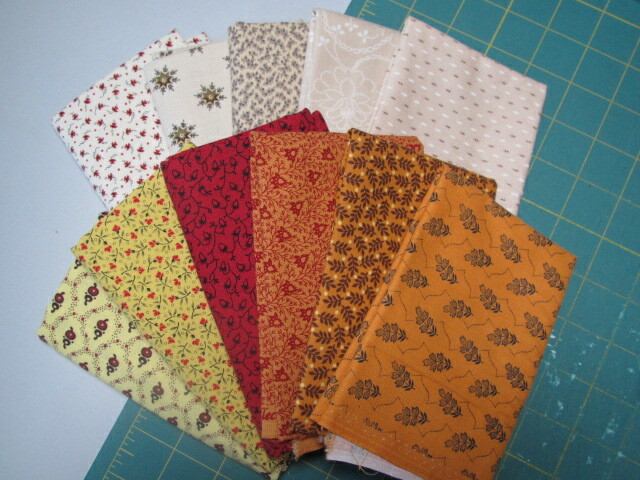 In the meantime enjoy your day and happy sewing. I am very happy to add Mill Rose Cottage in Ballan and Catarinas’s Country Collection to my list of stockist. 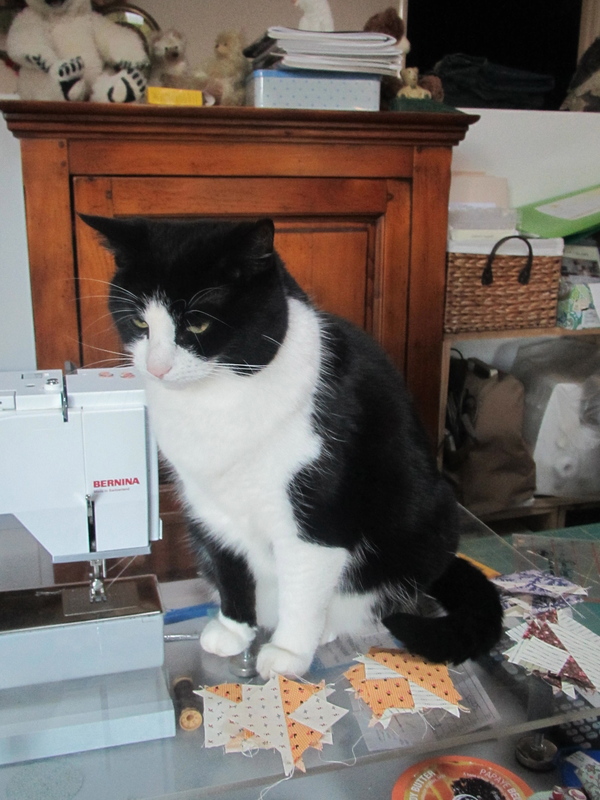 Except for rugs I have nearly finished the next quilt ” Louis” …looks good, just a little bit more appliqué and I will post a picture. 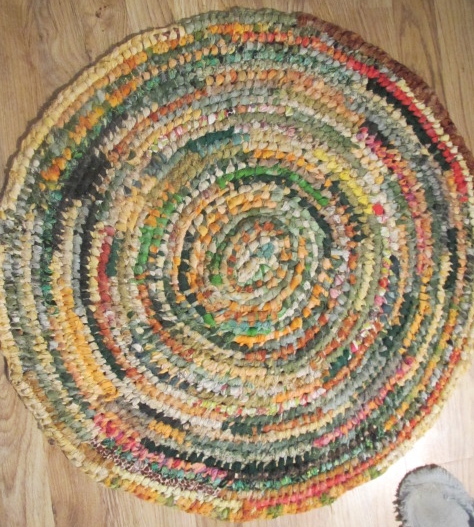 In the meantime here is my first rug. The centre is done, all the blocks around are not quite finished but it is looking good. Even my 11yr old son has told me he likes it. And I think I will call it Louis …. In the meantime I am about to finish quilting my queen size disappearing 9 patch, and then I can tackle the next one from the pile ! The quilt show at Jeff’s Shed is on this week , I am looking forward to be inspired ….. It has been a long time since the last news. But here it is, my latest pattern is on its way. The quilt is being quilted, I am writing the instructions and it will be released at the AQC Show in Melbourne on the 18th of April. I will be there too and hope to see some of you. I will post a picture as soon as I have it back, but I can tell you now it was inspired by the King George coverlet , lots of circles, and a boutis from a wedding quilt of the same period. It is 2mt x 2mt ( I had to stop otherwise you would have a very large quilt), with a centre medallion and 24 circles. I am quite happy about it. I am looking forward to the comments.